January | 2013 | Are Ya Gonna Eat That? Ha, pretty much, since I did attempt this in 2012 and managed to get my debt down a bit, but I’d like to get rid of all of it. So it’s the end of January and though I underestimated my expenses, I still managed to get rid of $1055 in debt! I mostly did this through a huge payment, Ebay sales, and some returns (then of course, interest was added). I’ve updated my stats of what the balances are as of today, and in February I’ll be able to pay off even more. It’s still a daunting total, but I compare this to the first couple miles of a marathon… I’ll finish eventually, slowly but surely. It’ll be nice once I put the majority of the debt funds towards #7, but I’ll get there. I added a bit more to my car stuff since it’s fairly old and needs more maintenance than normal, but I’d rather not get a new car until I absolutely have to despite it looking like a shitbox since it’s for the most part reliable. I’ve never regarded cars high on my priority list, so I’m just gonna run it to the ground. Personal care encompasses haircuts, chiro/masseuse visits (not frou-frou massage, but deep tissue/sports massage), Shiseido/Mac purchases, running shoes – run of the mill toiletries I’ll keep in #8. I have these things on a fairly consistent rotation that I’m on average probably spending about $100 a month on myself (well, more, but limiting myself to that), but since I was clueless about my food/gas budget, I’ll keep track of that, as well. I’m not sure if I’m missing anything else, so I’m going to check out other blogs to see what they have. I’d like to get my groceries/gas/going out budget to $500 a month, but I’ll see how a 3 month account of expenses looks like first. I was inspired by another blogger to try a long haul grocery trip for two weeks, but the list was so long that mild panic set in, so I’m going to work on that after Super Bowl and Palm Springs weekends are done and groceries are back to normal. Any suggestions or tips on budgeting is definitely welcome while I try to figure out this whole thing! One of my favorite ways to travel (which is actually not saying much, as any way is my favorite travel method!) is hiking/camping, more so when I camp in to a destination over car camping where you can drive into a campsite, park, and party. I really like being able to hike and observe scenery around me at my own pace, rather than whizzing by it in a tour bus or cab. It’s also more economical since campsites tend to be cheaper than hotels, you pack your own food rather than go to restaurants, and transport is free since it’s yourself. Plus, not a lot of people tend to like hiking, which is great if you don’t really like most people so you end up going in less congested areas where you can truly have some peace and relaxation through challenging, but fun, trails. A few years ago, I hiked most of the Trans-Catalina Trail during a long weekend. Catalina is a little island less than an hour away from California, and though it is known for very bourgie areas where people yacht and relax on the beach, there’s a ton of nature spots that are fun to hike, kayak, and explore at. I went with a friend from one port, Two Harbors, to another, Avalon, during Fourth of July weekend, and though there were some parts that were pretty hot, a lot of it was gorgeous, peaceful, and rejuvenating. We stayed in two campsites – first night at Little Harbor and the second night at Black Jack – and both sites were equally clean, spacious, and fun. This was during 4th of July – across is the Cali coastline where we could faintly see 8-10 fireworks shows in the distance! There’s a lot of rolling hills so it’s definitely an intermediate hike, but a couple of our friends opted to take the shuttle from Two Harbor to Little Harbor the first day/night so there’s a way to curb the hike if you wanted to. If you’re taking a pack, I would recommend taking some walking sticks with you to ease the load on your knees since there’s a lot of hills. The campsites are comparable to most other campsites in Cali, but Little Harbor in particular books quickly since you can kayak and fish there, so be sure to book early. Firewood can be purchased ahead of time and it will be there at the campsite, but definitely bring your own water for drinking (the very negative side of camping is lack of showers for the most part, but it comes with the territory). Also, not every port in Cali goes to both Two Harbors and Avalon (i.e., Dana Point is closer to us but it only goes to one of the ports, which was a bummer since Groupons for that port are offered consistently), so definitely check to make sure. In this case, we used the Long Beach port. For any nature lover, Catalina definitely can’t be beat in terms of great views on the trail! Even if you don’t camp and go to relax and enjoy the scenery, the restaurants are delicious and everyone is generally friendly. It’s a cool area to visit and I’m sure I’ll be back again for some kayaking. I couldn’t even wait for the one-photo photo shoot to end before I dug into the middle bar, that’s how much of a junkie I am! I’ve noticed embedded in my groceries expenses is one “leaking expense” that I’ve had for awhile – Luna bars. If you’ve never tried one, Luna bars are like lighter and more flavorful versions of Rice Krispies treats. They’re not as dense as most bars, which makes it my snack of choice at work or right before a lifting session at the gym. Trouble is, I easily consume 2-3/weekday because all the flavors are so dang delicious and I have no self-control, and though I don’t buy them unless they’re on sale for $1, I can’t seem to find any place that sells them less than that. So, it’s easily a $520-780/year habit – not too bad in comparison to, say, crack itself, but enough to draw attention considering they’re just snack items and something I consider in the junk food/empty calories category. I’ll taper that habit down. I completed my taxes this past week and, deducting the amount I paid for Turbotax, I’m getting close to $1k back which I intend to put the majority (or all) into one card so I can completely pay it off with only one more card to go. I’m also thinking about putting a portion of it (30% or so) in starting a Betterment account, but I’m still looking into it. For the most part I’m reading a lot of great reviews and received some very constructive advice on it recently, but I’ll make a separate post for that if I do decide to go for it. I’ve also revised my allowances so I break even, or as close to it, next year. After this month, now that I’m less idiotic more informed at just how much my variable/living expenses are, I’ll outline a better budget for February. February might also be tweaky since I’m going to Palm Springs with my family since we didn’t hang out for the holidays, and it’s my birthday so friends usually treat me out, but I suppose it’s all a work in progress. Tiffany’s medal at a race – yes, please! One of my favorite “theme” races is the San Francisco Nike Women’s half and full marathon. I am not sure if it was the first of its kind where the main pitch was mostly to women (though not exclusively to women, as my male friends have ran it), but I’m pretty sure it was one of the first. There’s a high demand for it, evident by their lottery system that they created so everyone would have a more equal chance to run it, but once you’re picked it’s an incredibly fun experience. If you register early enough, I would definitely recommend to pick a hotel situated at the start line. We stayed at the Marriott and it was incredibly convenient to wake up, have a bagel and banana, gear up, and go to the start. To save costs, we packed as many as allowable in a room, and another time a friend hooked me up with a free room for myself and others due to the Marriott points racked up. I also brought my own food for breakfast (bagels, Clif bars, banana), but that’s more because of my nerdy running rituals than keeping costs down. Registration fees are pricey, not going to lie – when I signed up a few years back, it was the first half I ever paid for that was either close to or over $100, so it was a tough pill to swallow even back then. The whole experience is kind of worth it, though, and the schwag is pretty cool if you like form-fitting race shirts and the cute medal. Also, if you are running for time, definitely stay in the corral according to your pace. One year, I wanted to hang with my friends before the race who stayed at a slower minute/mile pace than me since they mostly planned to walk, and it was very challenging to wade through the throngs of people in order to get up to your regular speed. If it’s a race with 5,000 people or so the crowd usually disperses evenly, but since this had like 20,000 racers or more it was more congested. As a result, it added 15 more minutes than my regular finish time, so that was a bit disappointing though it was through my own fault. So, if you don’t want to be a jerk and push through walkers and ruin their fun, then definitely go with your speed (not that I was a jerk, for the record, I’m too shy for that). Alternatively, I think it’s good to not overestimate your speed, either – I feel it’s good runner etiquette to not disadvantage someone who might be running for a PR but are slowed down because of the crowd. Overall, it’s a great alternative to most girly trips I’ve been on (mostly for bachelorette parties), it’s well managed, and I love the energy of the weekend! I’ve been reading a lot of PF blogs this past month in order to get some tips/advice on ways to be frugal, get out of debt, stick to a budget, and how to save and invest. The basics, I suppose. The PF community is vast (and incredibly nice), but the ones I gravitate towards tend to be or have been in my current situation – trying to get out of debt or are out of debt, and/or figuring out ways for a more fiscally sound future. Since money seems to still feel taboo when discussing with friends, at least with mine, it’s comforting to know there are others out there in the same situation who are improving themselves (and discussing it). One of the blogs I encountered, Frugal Portland, takes a kind approach to her situation and others, in that, sure, maybe past mistakes were made, but there’s no sense in beating yourself up over this. That’s life, and all one can really do is learn from your mistakes and improve upon it. Here and there, she writes to be kind to your future self, and to “pay your future self, don’t borrow from her.” I thought these words were really profound, and is the philosophical approach I’m going with in taking rein of my personal finance. One thing I foolishly prided myself in was that as soon as I turned 18, I made sure to pay my own way through college and in my 20’s so my mom wouldn’t have to work multiple jobs anymore. It’s obviously a false sense of pride, though, considering while I wasn’t borrowing from her, I lacked the common sense to also not borrow from my future self. I’ve always been employed, but I was living way above my means and partying it up, shopping for nice clothes, and splurging on nice trips. I suppose in your 20’s (heck even in your 30’s and 40’s), that’s what happens to some people – you think and live for the day, and worry about the boring, serious stuff later when you’re actually “a grown up.” For some people, they learn a lot quicker in figuring out that, oh hi, you have to pay for the past stuff back. For me, I’ve always been a late bloomer of sorts, and controlling my finances was no exception as this struck me recently (coinciding when I also started dating a very frugal person, which I’m thankful for). I think my real wake-up call wasn’t when most of my friends were getting married, owning a house, and having babies, but more when the babies started crawling. Then walking. Then talking. And using “nocturnal” in a sentence. Then owning tablets and asking me what the wireless password was. Holy crap, life happens quickly! Though friends who have followed the “life timeline” around the same time seem to received the memo a few years ago, I’m getting to at an age now where I’m starting to realize that life is finite, and shorter than I think since days and months seem to pass by so quickly. So while I have these years when my body is able and my mind is on point (most times), I need to get my act together to not only get out of this debt mess, but to pay for things up front and, more importantly, to save so that my future self isn’t in the same predicament as I am now. Because sooner than later my 40’s will creep up, then my 50’s and 60’s, and I’d like to know that my 60-70 year old self has enough in her savings to enjoy the next third of her life without having to work, rather than paying for the mistakes of her past self. So, I’m sticking with this philosophy when it comes to personal finance because it’s sensible and motivating. Save and pay my future self, don’t borrow from her…. 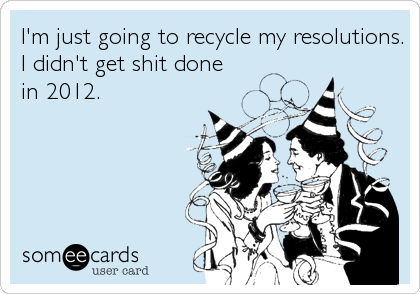 including next year’s self once I finish this year’s elimination project. A few years ago, my brother had a destination wedding in Riviera Maya, Mexico. Since we were in the area, my ex friend and I decided to also tack on Tulum, Guatemala, and Costa Rica. We saw amazing sites which I will share at some point – Chichen Itza, Ik-Kil Cenote, Mayan ruins in Tulum, Tikkal – but Costa Rica won it hands down because at 3 a.m. in the morning we were able to witness a sea turtle swim to the beach and lay an egg! It took about 3-4 hours for one to come up shore, but to witness it was an absolute miracle – sea turtles are ginormous and beautiful, and I learned so much about sea turtle’s nesting cycle (i.e., how their genders are determined whether the egg was out in the sun or in the shade, I forget which determines what). I turned on the light and saw this little creature scurry across the floor and beneath the couch! We stayed at the Arenal Observatory Lodge, which I *highly* recommend – at night you could hear the volcano rumble and ooze out lava! Loved this bird – it can swim, but in order to fly he spreads out his wings and dries them for a half-hour or so before he can take off! If I had any recommendations, it would definitely be to stay in hostels if they don’t bother you since the ones we stayed at also included breakfast, and for sure visit Arenal! I don’t think I would visit countries again once I’ve been there since there’s so many I want to explore, but Costa Rica is definitely an exception! It’s so green and gorgeous, and everyone is so friendly and I love how they use “mucho gusto” rather than “de nada” for you’re welcome. Little differences like that are very charming to me and it gives a feel for the hospitality, and I’d for sure want to come back to explore rain forests and more of Costa Rica’s culture some day. My bf and I question about whether SD is where we would settle from time to time, due to the cost of living and wanting to raise kids in less superficial surroundings (I used to live near a high school and students would be rolling in Mercedes and Range Rovers, it’s crazy). As much as I lean towards moving, it would be hard to leave things like Mission Bay (above). Though SD is pricey to live in, I’m grateful on almost a daily basis for such amazing scenery and temperate climate, so it would still be a challenge to leave. This week, I definitely splurged in the going out a bit, with going out for desserts, SD Restaurant Week, and hanging out with my family. I knew it would be unfeasible for me to not go out during this process as I really make an effort to spend time with family/friends as much as I can. Limiting my lunches at work has really helped (like amazingly helped, kinda sad I picked convenience over saving cash all this time), at least, and if I just keep mellow with spending the next couple of weeks, I think I can eliminate 1/3 of my credit card debt by end of the month! Also, I’ve decided that it was probably dumb to set the bar at $400 for food/gas/going out, as I didn’t budget before so I really underestimated how much I spend. Man, it’s like recording calories – you really don’t know how much you eat until you document every morsel! So, I’m also including total expenses instead, and hoping to at least not go beyond $600. Since I want to track expenses only and not the$20 credit card payoff and $1 insurance from Week 1, then expenses are at: $516.34. Finally, in terms of groceries, the bf and I agreed that since I primarily do the groceries since I’m the only one that cooks, that we should just split the bills in thirds (I’ll take 2/3 and he takes 1/3 since he does some light shopping and usually pays when we go out to eat) and I’ll take it out of rent since he owns the place. For groceries, I spent $257.94, so taking a third ($85.98) out would be an adjusted total of $430.36.